If you work with medical data, then you know medical research is often plagued with small sample sizes. In order to get information from patients, researchers also often have to pay them, something that can skew the data and limit the people who choose to participate. According to Apple CEO Tim Cook, people say they’d be happy to participate in research studies if doing so was easier -- something Apple is attempting to do with a new “ResearchKit” for iOS. The opt-in program allows iPhone owners to participate in a number of different medical research studies. That could make things a whole lot easier for entrepreneurs who need to gather medical data for their startups. “We saw an opportunity for Apple to have an even greater impact by empowering people to participate in and contribute to medical research," said Jeff Williams, Apple's senior vice president of operations. "ResearchKit gives the scientific community access to a diverse, global population and more ways to collect data than ever before." You decide if you want to participate, and then sign up for a study directly from your phone. The kit will be available next month for developers everywhere to create apps, however, Apple is already working with researchers at a number of large universities and other organizations on the five initial apps that focus on Parkinson’s disease, diabetes, asthma, breast cancer and cardiovascular disease. Partners include the University of Rochester, Massachusetts General Hospital, Stanford Medicine and Oxford. The Parkinson’s app, for instance, has you do things like tap on the screen for a period of time to detect hand tremors, or put your iPhone in your pocket and walk 40 steps so it can test your gait and balance. 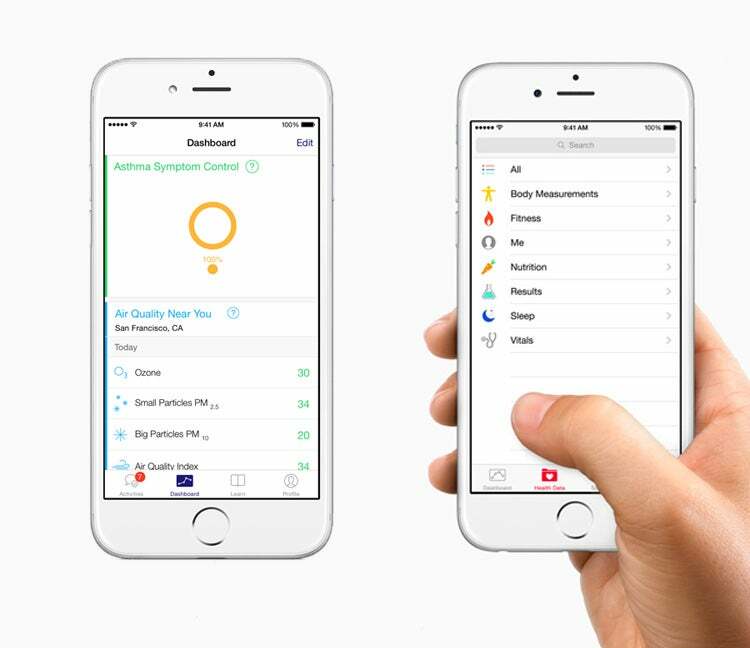 With your permission, the app can pull information from Apple’s HeathKit such as your weight and blood pressure. As a user, you can track your own data, allowing you to potentially learn a little bit more about your health before researcher publish the results of the study as a whole. Apple says it doesn’t keep any of your data during the process, making it a safe alternative to traditional research studies. ResearchKit will be released as open source framework in April, and will work on the iPhone 5 and above.